This 16mm wide lanyard has a wide plastic hook end fitting, which keeps your attached credential or ID badge holder facing front at all times. No more worries about things getting flipped around. This lanyard combines the familiar ribbed polyester look and feel of standard lanyards with a convenient end fitting for a great card-carrying solution. These are great badge holders for schools, conventions and more. Lanyard material: 16mm flat ribbed polyester. Attachment: Wide plastic hook with "twist-free" functionality (your attached card or badge holder will remain facing front during normal use). 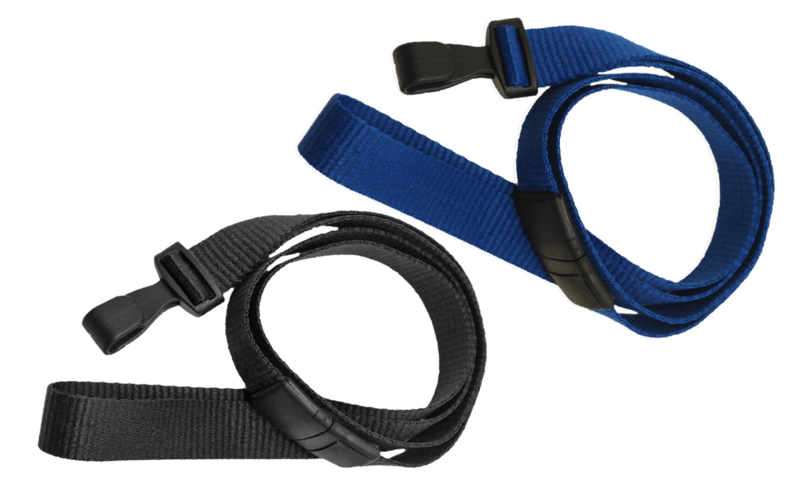 Combines the classic lanyard look with a convenient, twist-free end fitting!